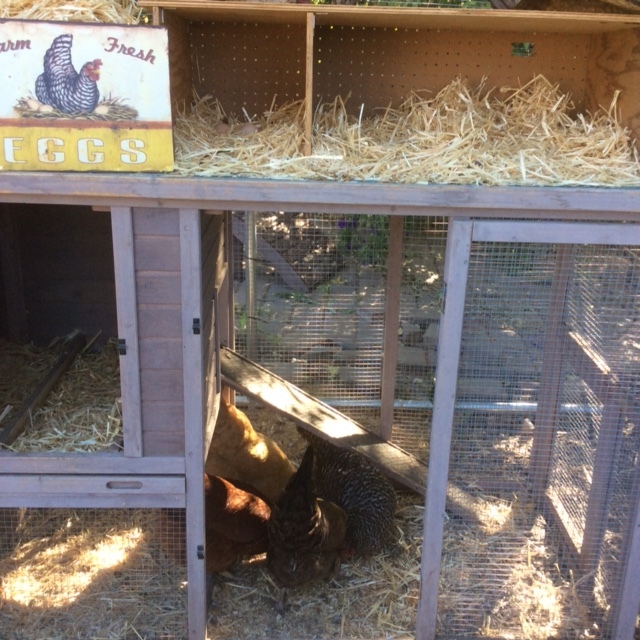 Last year’s Tour de Coop inspired us to build a home for our four new baby chicks. 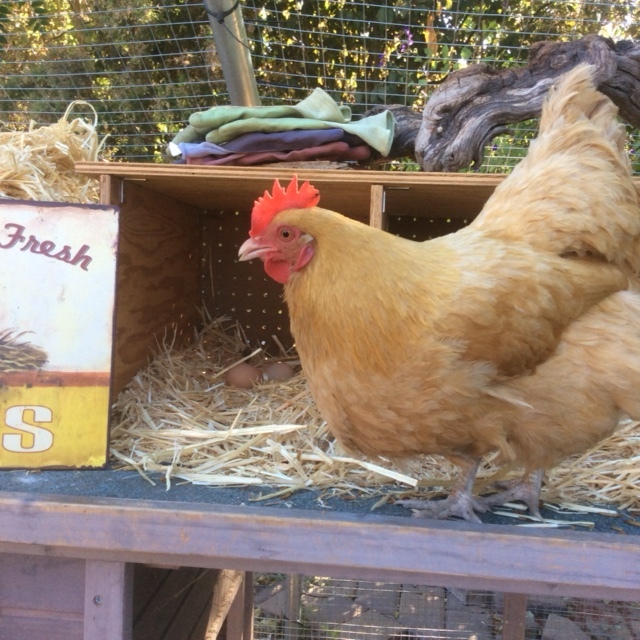 We already had a small coop, but as they grew up, we wanted them to have more space. After researching many options, we bought a kit to build a 13 x 13 enclosure. 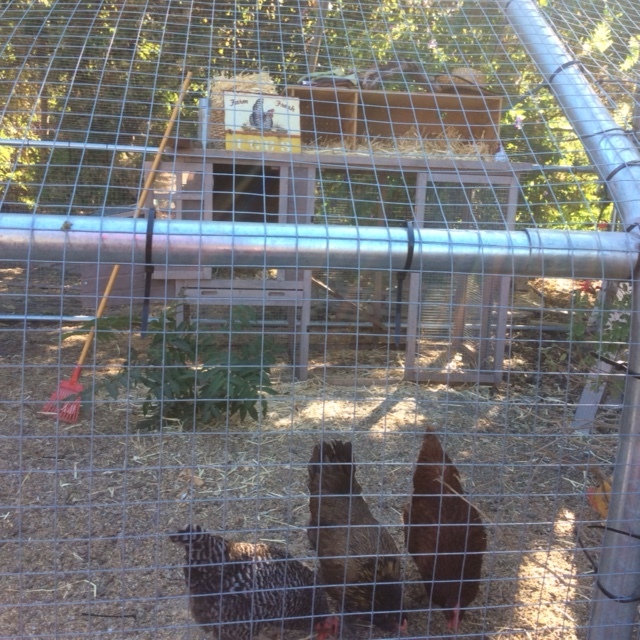 Our girls now enjoy a large safe space and we are still having fun adding features to it. We have a large run with coop. We built the run from a kit bought through eBay. 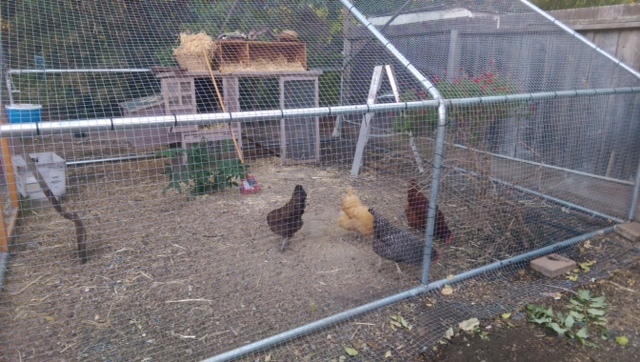 We also have removed lawn and replaced with drought resistant California native plants.